From one extreme to another, Transhield XT Covers are made to withstand intense environments to keep your equipment protected. 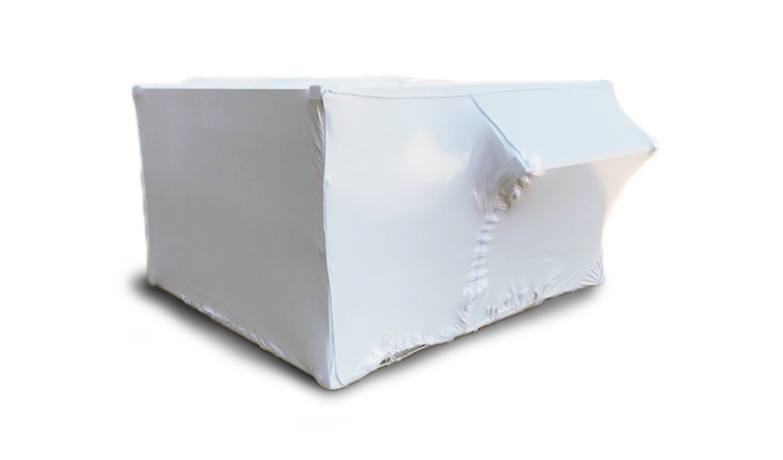 Our custom fit XT covers have a high moisture removal rate with a smooth exterior to shed water and snow. 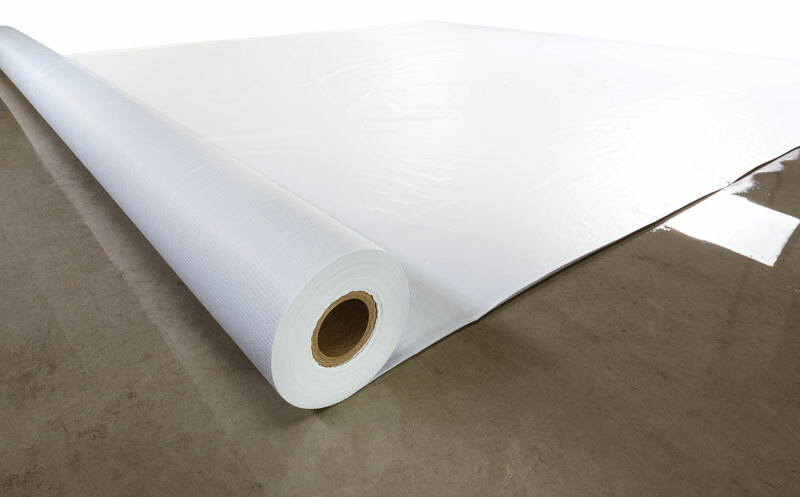 The soft interior makes installation easy and contains patented VCI technology that disrupts the electro-chemical reaction that causes corrosion. 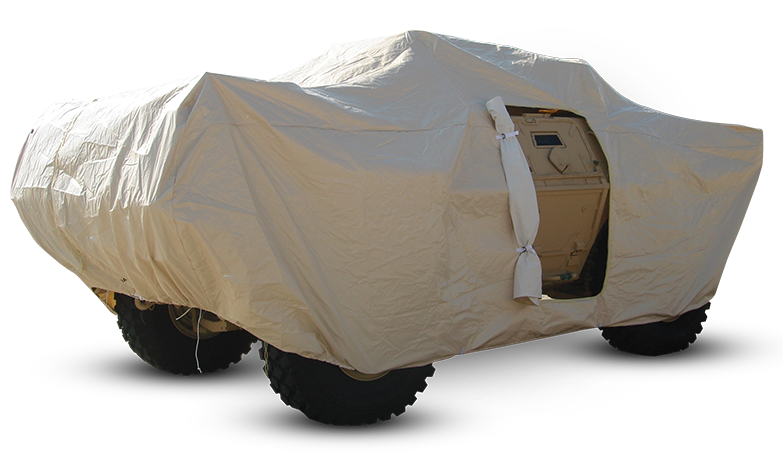 By emitting VCI in vapor form and bonding to the equipment’s metal surface, our XT covers are able to reduce corrosion by 85-95%. 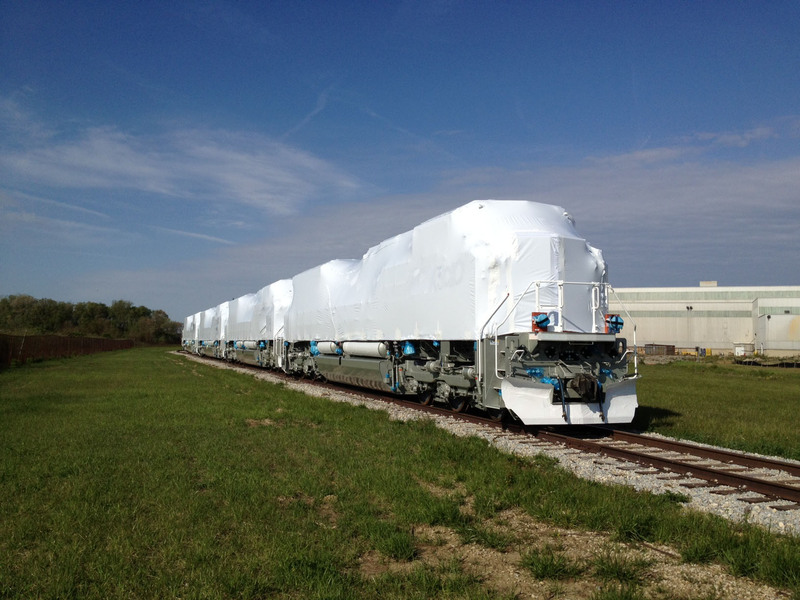 Proudly made in the U.S.A., all XT covers excel in day to day on/off use. Heavy-duty. Anti-corrosion. Custom-fit. 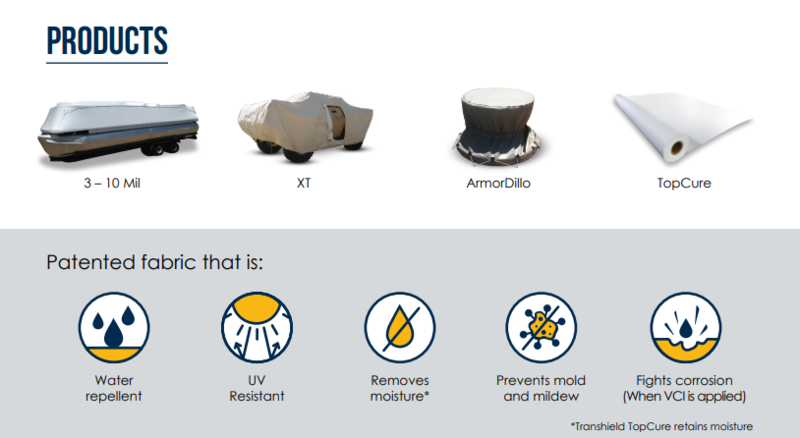 Transhield provides ultimate equipment protection. The trade show is a tried-and-true method for networking in almost every industry.  It allows organizations to connect with potential partners in a space that is professional and personal. 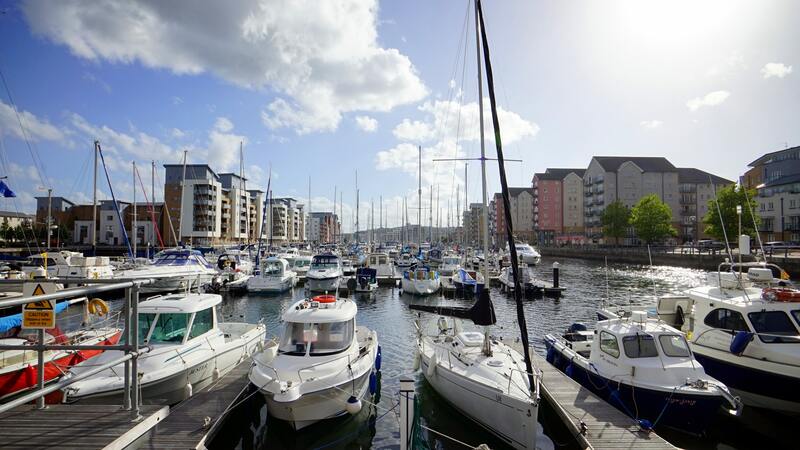 Transhield commits to attend a wide variety of trade shows to keep abreast of trends across the numerous industries of its highly diverse customer base. 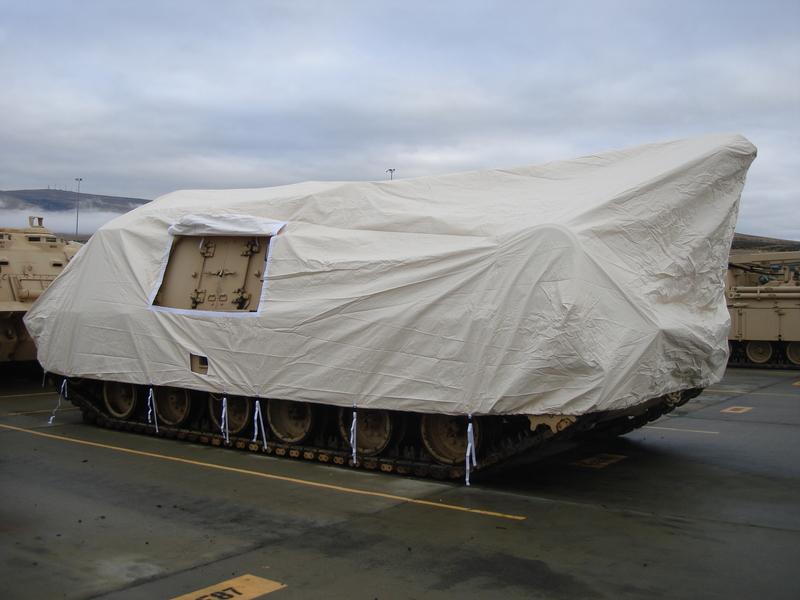 In fact, Transhield will attend nine shows this spring alone, spanning military and marine to industrial and aviation. Let’s take a brief look at the details of these shows. 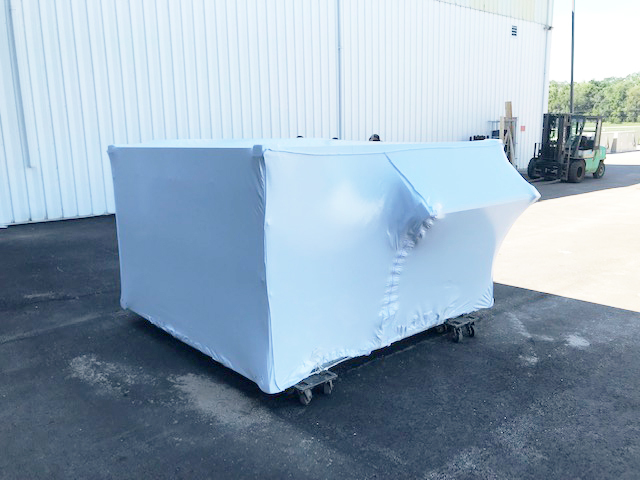 When it comes to protecting heavy equipment—whether during transportation or storage—many companies rely on simple one-size-fits-all covers, tarps and shrink wrap. While these may keep out the rain and snow, such covers are rarely form-fitting, meaning they have gaps and even openings through which rodents, dust, water, and other damaging elements can enter. A growing number of manufacturers are realizing substantial financial and environmental benefits by adopting sustainable business practices. Sustainable manufacturing helps minimize a company’s negative impact on the environment while conserving energy and natural resources, along with reducing costs and cutting waste. In their ongoing efforts at shifting processes and products to be more sustainable and environmentally friendly, Transhield has successfully trialed a revolutionary system to recycle their groundbreaking Transhield Shrinkable Fabric®. Since 1975, World of Concrete (WOC) has been the concrete and masonry industries’ go-to meeting each year. Boasting more than 1,500 exhibiting companies and 58,000 registered industry professionals in more than 745,000 net square feet of exhibit space, WOC assembles the newest equipment, products, training and expertise in one location for businesses looking to increase efficiency and get the job done right. 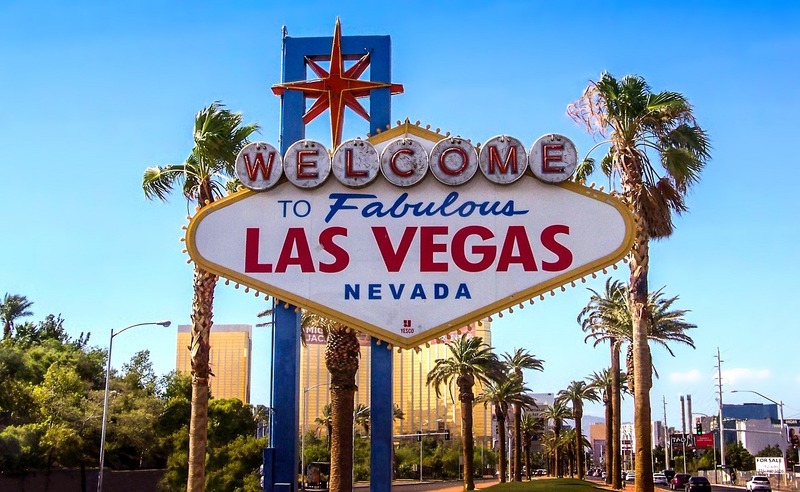 Held at the Las Vegas Convention Center from January 21st through the 24th, Transhield was on hand exhibiting their revolutionary equipment protection solutions as well as our unique concrete curing cover, TopCure. Concrete curing is a delicate, but vital process. It controls the rate of moisture loss and helps to make sure concrete achieves the highest level of durability. Therefore, the curing solution chosen is imperative. 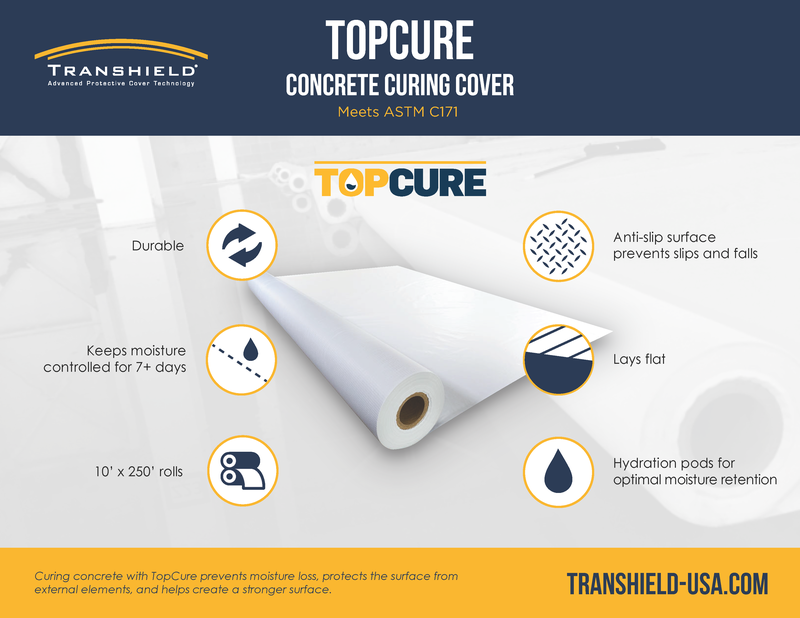 Curing concrete with Topcure not only prevent moisture loss, but it also creates a stronger surface by protecting from external elements. See below why TopCure is the solution for your project. The largest independent marine dealer event in North America is just around the corner, and you won’t want to miss this year’s show! The Marine Dealer Conference & Expo is a must-attend for industry leadership and an unparalleled opportunity to mingle with others in the field. Transhield is excited to be dropping anchor in Orlando, Florida, from December 9-12, and extends a hearty invitation to come aboard and meet the crew in Booth 531/533!